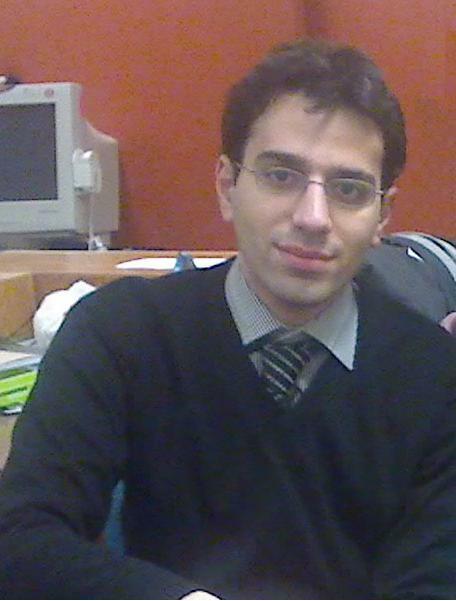 Omid Ranjbar Pooya, M.Sc., Ph.D.
Omid received his B.Sc. in software engineering (2006) and M.Sc. 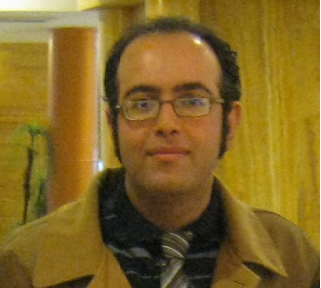 in artificial intelligence (2010) from Iran University of Science and Technology and Shiraz University respectively. He received his Ph.D. at the U of Manitoba in Biomedical Engineering. Niyousha received her B.Sc and M.Sc. in Orthotics and Prosthetics from Iran University of Medical Sciences (Tehran). She is currently a Master student at the University of Manitoba in Biomedical Engineering. Her thesis was mainly on rehabilitation of patients with incomplete spinal cord injury. 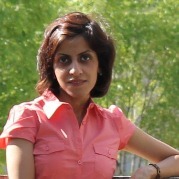 Zeinab Dastghieb, M.Sc., Ph.D., P.Eng. Zeinab has received her B.Sc.and M.Sc. from Ferdosi U of Iran . 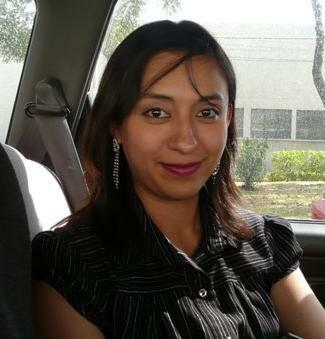 She graduated with her Ph.D. in Biomedical Engineering on the use of EVestG signals for diagnosis of Meniere's disease. Ahmad received the B.S. and M.S. 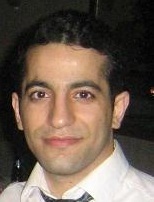 degree in Electrical Engineering from Tehran (Iran) in 2005 and 2007, respectively. In 2007, he started the Ph.D. at the Institute of Handling Robots and Technology (IHRT) from Vienna University of Technology (Austria) and graduated with honors in 2010. During the Ph.D. work he was invited to the Autonomous Agent lab (AALAB) from U of Manitoba as a visiting scholar for ten months. He graduated from his second Ph.D. in BME field. Ali has received his B.Sc., M.Sc. and Ph.D. from Gilan University, Sherif University (Tehran) and University of Manitoba, respectively, in Electrical Engineering. He is now a Postdoctoral fellow at the U of Manitoba in collaboration with Dr. Magdy Younes (YRT) in Biomedical Engineering. 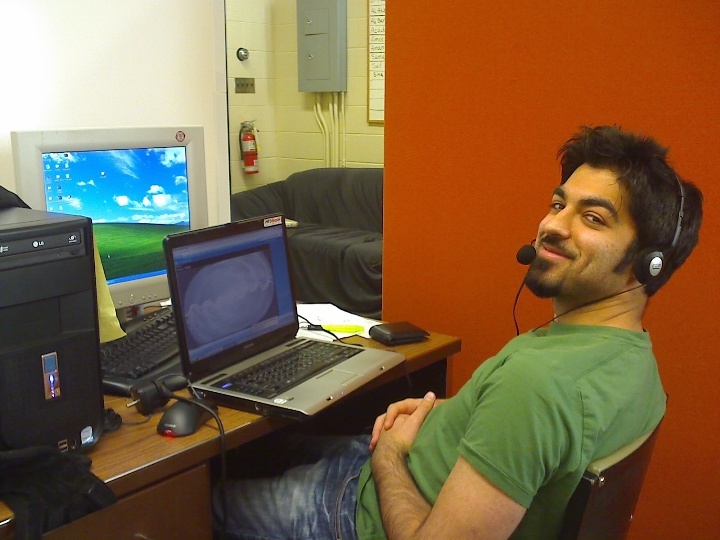 His main research has been on snoring sounds analysis and sleep data; currently working on EEG signals during sleep. 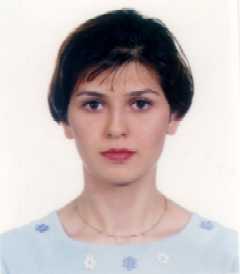 Azadeh received her B.Sc., M.Sc. and Ph.D. in Electrical Engineering, Sharif University of Technology, Tehran and University of Manitoba in 2001, 2005, and 2010, respectively. She was a visiting researcher at our lab during her Master Studies for 4 months and worked on respiratory flow estimation and heart sound localization using entropy of respiratory sounds. 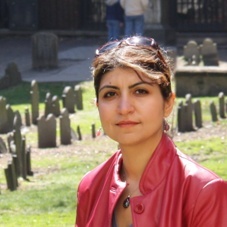 She also did her Ph.D. in our lab in sleep apnea detection and respiratory flow estimation during wakefulness and sleep.She is now a postdoctoral fellow at University of Toronto. Samaneh has received her B.Sc. (2003) and M.Sc. 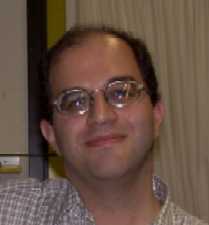 (2004) from AmirKabir University of Technology (Tehran) in Electrical Engineering focused on Neurofuzzy Controllers. She received her Ph.D. from the University of Manitoba in Biomedical Engineering. Her thesis was focused on swallowing sounds modeling and analysis. Aimee received her B.Sc. 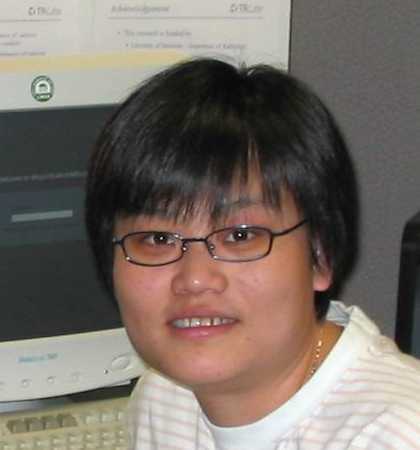 in Computer Engineering (2002) and her M.Sc. (2004), and Ph.D. (2008) from the University of Manitoba. Her research involved dynamic aspects of balance control. In particular, development of a balance test to predict falls for the elderly, and patients with peripheral and central conditions, that is available to the clinical world. The test combined sensory, motor and cognitive tasks in order to capture the widest physiological range, in order to create a neural control model using the minimal degrees of freedom. 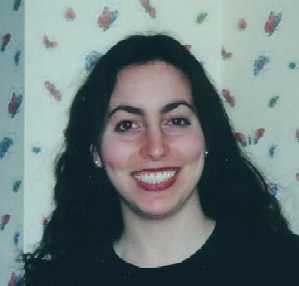 Aimee was a recipient of the Manitoba Health Research Council (MHRC) award (2004). January Gnitecki received her B.Sc. and Ph.D. from University of Manitoba in 2002 an d2007 respectively. Thesis Title: "Analysis and Modeling of Air Flow-Specific Lung Sounds for Non-Invasive Detection of Airway Status." January was a reipient of Canadian Asthma Foundation Studentship (2003), University of Manitoba Fellowship (2004) and NSERC (2004-07). Mohammad received his B.Sc. M.Sc. and Ph.D. degrees from Sharfi University, Amir Kabir University of Iran, and University of Manitoba respectively. His Ph.D. thesis was on swallowing sound analysis. He is currently Red River Colleage Instructor. 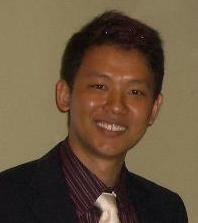 YeeLeng (Daniel) worked on acousitcal airflow estimation from tracheal sound average power and graduated in Augest 2002. He is currently a postdoctoral fellow in Singapore. Paul White, B.Sc. Elec. Eng., M.Sc. 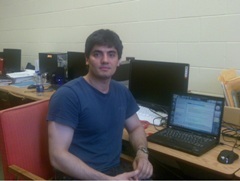 Paul has worked with us in summer of 2012 on an NSERC scholarship. He received M.Sc. on the Virtual Reality Assessments for the detection of early onset of Alzheimer's Disease. Shumit received his M.Sc. degree in Biomedical Engineering from the University of Manitoba. His focus was on investigating the effects of changes in upper airway anatomy during sleep on snoring sound features. Shumit has been awarded the Manitoba Graduate Scholarship (MGS). 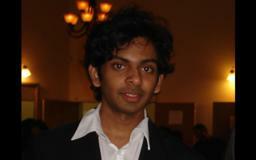 He has also worked as a research student in Toronto Rehabilitation Institute at University of Toronto. He completed his B.Sc. in Electronics and Communication Engineering (ECE) from Khulna University of Technology (KUET), Bangladesh in 2012. Then, he worked as a lecturer in the same university from 2012-2014. Mari received her B.Sc. in Mechatronic Engineering, Technological Institute of Monterrey (ITESM-CEM), Mexico 2006. She completed her M.Sc in Biomedical Engineering with a focus on the effect of memory exercises in elderly and those with dementia. Davood received his first B.Sc.and M.Sc. in Agriculture Engineering from Isfahan University of Technology and Tehran University of Iran, respectively. He earned his Ph.D. in Biosystem Engineering, University of Manitoba. He received M.Sc. in Biomedical Engineering working on diagnosis of obstructive sleep apnea during wakefulness. Currently, he is doing a second Ph.D. at U of British Columbia, Vancouver. Younes received his B.Sc. and M.Sc. in Electrical Engineering, Control Systems from Iran University of Science and Technology (2008) and University of Tehran (2011), respectively. He received his second M.Sc. at the U of Manitoba in Biomedical Engineering on brain imaging development. Chathura received his B.Sc. in Computer Engineering (2010) and M.Sc. in Biomedical Engineering from the University of Manitoba (Aug. 2013). His BME M.Sc was on EVestG technology. He is currently doing his Ph.D. at McGill University, Montreal. 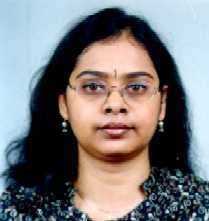 Tasneem received her Bachelor's of Engineering from Visveswaraiah Technological Unviersity (VTU) in India. 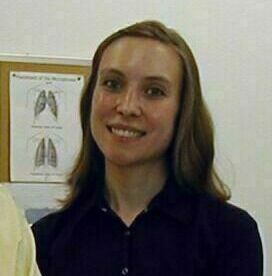 She received her Master's from the University of Manitoba in Biomedical Engineering, working on breath sounds analysis. 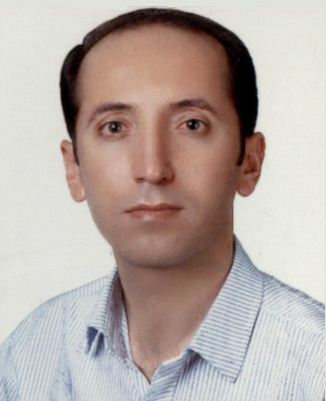 MohammadReza received his B.Sc. from Iran and did his M.Eng at our lab on designing and developing a rehabliation device for treatment of spinal cord injury. He defended his thesis in Aug. of 2012. Aman received his B.Sc. from Iran University and did his M.Sc. at our lab on sleep apnea screening during wakefulness. He graduated in Nov. of 2011 and is now working at Iders. Saif Huq received his B.Sc. and M.Sc. in Electrical Engineering from the University of Manitoba, in 2005 and 2010, respectively. He did his M.Sc. in Biomedical Engineering with focus on airflow phase detection in a noisy environment and during sleep using only one channel of respiratory sounds data. He is now an employee of Health Science Center, Winnipeg. Ali-Akbar received his B.Sc. from Kuwait UNIVERSITY, and his M.Sc. from our dept. in 2009 working on the effect of aging on human brain temporal and spatial processing thorough psychophysical experiments. He is now a Ph.D. candidate at Waterloo University. Manju received her B.Sc. from JAWAHARLAL NEHRU TECHNOLOGICAL UNIVERSITY, (Hyderabad, India) in 2001 and her M.Eng. in 2009. Her Master project was on designing a reliable and fast data transmission protocol as well as designing the user interface for the sleep apnea portable device. 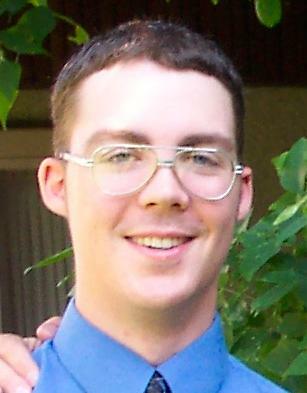 Jung received his Bachelor of Science in Computer Engineering from the University of Manitoba. He finished his M.Sc. in 2007. Thesis title: Human Postural control characterisitcs during forward stepping: relationship between COM and body accelerations, trunk acceleration variablity and COP characteristics. Chad received his B.Sc. and M.Sc. in Computer Engineering from the University of Manitoba. His M.Sc. thesis was designing and implemetning a 2DOF robotic arm for motor learning investigations in our lab. He received his Ph.D. from University of Texas at El Paso and now is a postdoctral fellow at Phoenix Technologies. Marziye received her B.Sc. 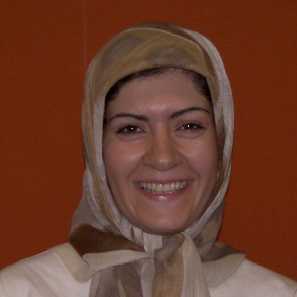 from Isfahan University of Technology (IUT) of Iran, in 2001 and her M.Sc. on May 2005. Her Master thesis was on acoustical airflow estimation from tracheal breath sounds. Fazel received his B.Sc. 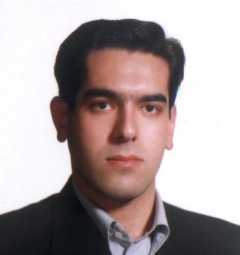 from Iran University of Science and Technology in 2001 and M.Sc. in May 2005. He developed a 5-DOF robotic arm with sterio vision as an assistive aid for handicapps in our lab. 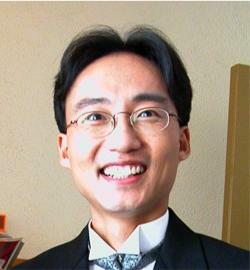 He later received his Ph.D. from the University of British Colombia, and is now working in US. Mahsa received her B.Sc. 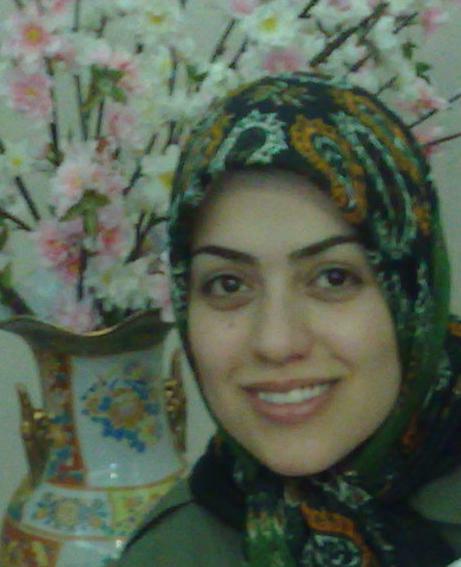 from Iran University of Science and Technology in 2001 and her M.Sc. from our department in Electrical Engineering in 2004. Her Master project in our lab was on heart sound cancellation from lung sounds record using image and signal processing techniques and 2D interpolation in time-frequency domain. 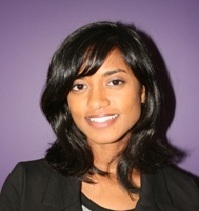 She received her Ph.D.from the University of British Colombia and now is a research scientist at TELUS in Vancouver. Ellen received her B.Sc. and M.Sc. from University of Manitoba in Computer Engineering, and worked with us in 2003-2004. She is currently employed as a senior programmer in Winnipeg. Irina received her B.Sc. degree in electrical and electronic Engineering from Bangladesh University of Engineering and Technology (BUET) in June, 2000 and her M.Sc. from our department, in 2004. Her project was on lung sound-flow relationship in healthy and asthmatic subjects. 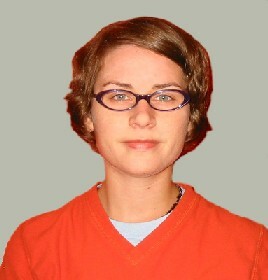 Irina was a recipient of University of Manitoba Graduate Fellowship (2002). She is now a Ph.D. candidate at Wayne State University, Detroit, MI working on Secure Software Update in Intelligent Vehicles. Lisa graduated with her B.Sc and M.Sc in Electrical Engineering from our department in May 2001 and Sept. 2003, respectively. Her Master thesis in our lab was in classification between normal and dysphagic swallowing by acoustical means. She received her Ph.D. candidate from the Oxford University, UK. Lisa was a recipient of NSERC Graduate Fellowship. In the summer of 2011, working with Shawn Koop, Cam helped program our Brain Exercises. From September 2012 to August 2013, he worked full-time in our lab through the ECE department's Industry Internship Program focusing on classifier development for heterogeneous biological data. Cam is a recipient of the Manitoba Health Research Council (MHRC) award (2014) and Sunnybrook Prize (2014). Rebecca Gole, Undergraduate Elec. Eng. Kyle Nemez, Undergraduate Elec. Eng. 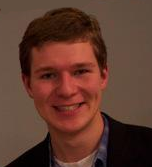 Kyle has worked with us in summer of 2011 and 2012 on NSERC scholarship. Melanie Dyck, Undergraduate Elec. Eng. 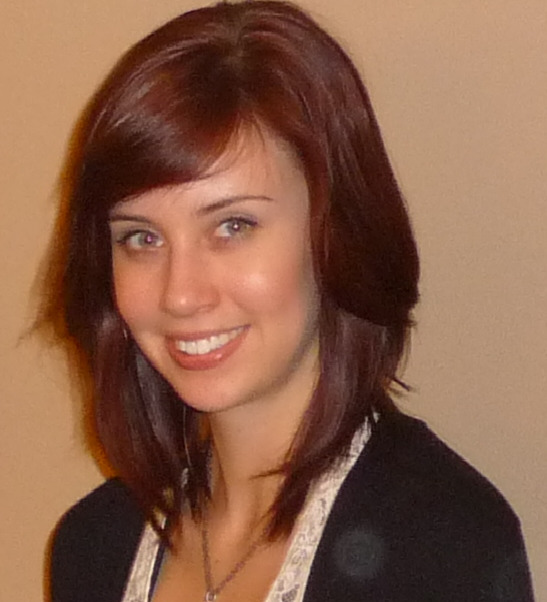 Melanie has worked with us in summer of 2011 and 2012 on NSERC scholarship. Shelley Burns, Undergraduate Elec. Eng. Shelley has worked with us in summer of 2011 n NSERC scholarship. Shawn Koop, Undergraduate Comp. Eng. 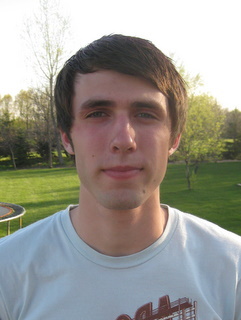 Shawn has worked with us in summer of 2011 and 2012 part-time. Jonathan Baril, Undergraduate Elec. Eng. Jonathan worked with us in summer of 2011 on NSERC scholarship. 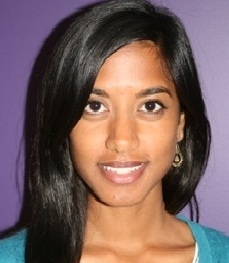 Udeesha is an undergraduate student at Elec. & Comp. Eng. and worked with us in summer of 2010 on literature review of epilepsy. Malsha is an undergraduate student at Elec. & Comp. Eng. and worked with our group in summer of 2010 on literature review of epilepsy .